2 Bedroom Terraced House For Sale in Dunstable for Fixed Price £250,000. 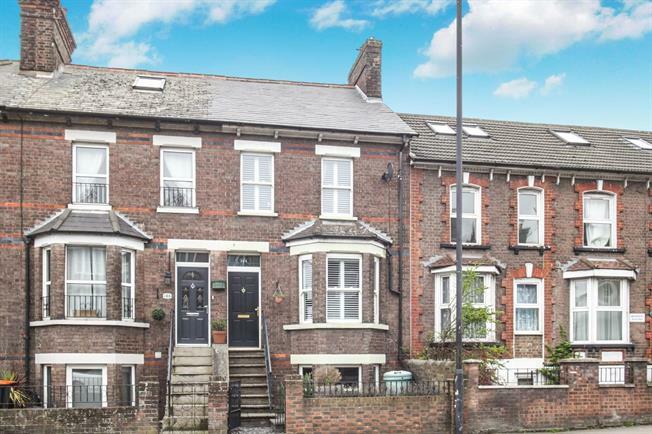 Taylors Estate Agents are delighted to offer for sale this two bedroom mid terraced property with the basement being converted to a studio flat with its own entrance. The ground floor accommodation comprises of an entrance hall, lounge, dining room and kitchen with a staircase to the basement. The first floor offers an open planned landing area connected to a mezzanine loft space, two double bedrooms and recently refurbished bathroom. The property also benefits from a rear garden.